If you’re looking for the best cheesecake in New York City, then you need to head on over to Sarge’s Deli on 3rd Avenue in Murray Hill. Our Signature Cheesecake recipes have been in the family for over 100 years and each and every day, dozens are baked right in the restaurant, using only the world’s finest ingredients. 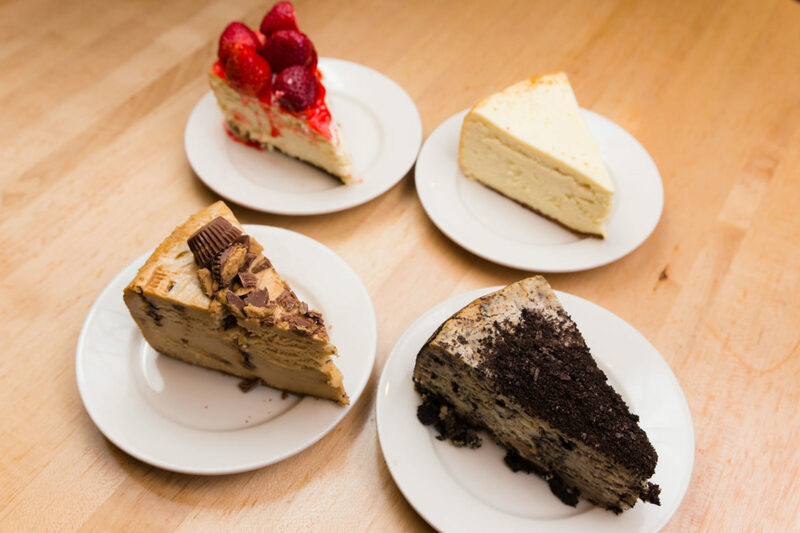 What makes our signature cheesecakes the dessert champion in The Big Apple? First off, our Signature Cheesecakes are the largest you will ever see. Our whole cheesecakes tower over 3” high, have a massive diameter of 9” and weigh more than a whopping 7.5 pounds each! As far as variety goes, you can get Sarge’s cheesecake in three delicious flavors – Original New York, Peanut Butter Chocolate, and Oreo. You can even get our original variety topped with fresh strawberries! Each one of our whole cheesecakes can be sliced up to serve between ten to twelve people. If you’re looking for a smaller dessert experience, we also offer Personal Cheesecakes and Mini Cheesecake Bites. 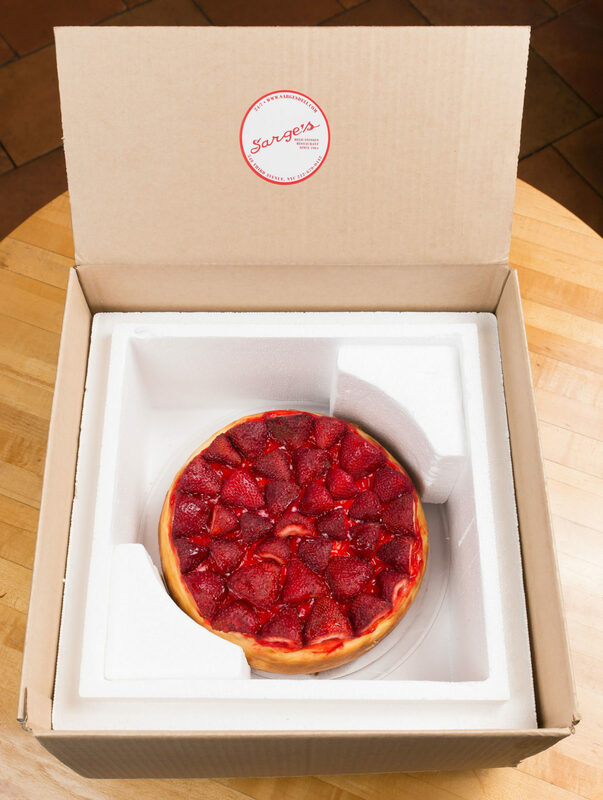 All of our cheesecakes are available for takeout or delivery by calling Sarge’s at (212) 679-0442, or by ordering online. If you want to order online, just use the following links for takeout and local delivery, nationwide delivery, or for your local catering order. Our whole cheesecakes are shipped nationwide in individually custom fit insulated containers to ensure they arrive fresh, cold, and intact. “If you want a piece of heaven and an authentic slice of NYC at home — order the New York Cheesecake from Sarge’s deli.” - Sharon T.
You see! We're not exaggerating! So what are you waiting for? Our signature cheesecakes make the perfect gift for any get-together, or you can just eat it all yourself — we won’t tell!